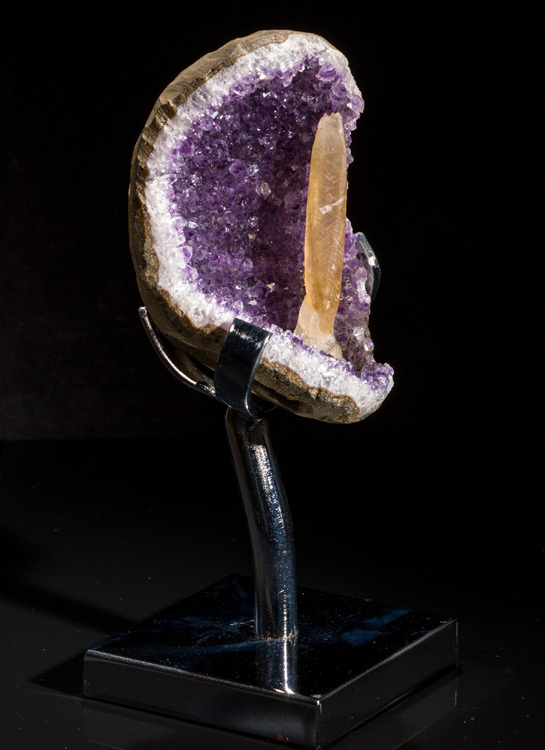 This is an absolutley beautiful amethyst geode with an incredible, orange calcite crystal inside that is growing all the way from the bottom to the top. 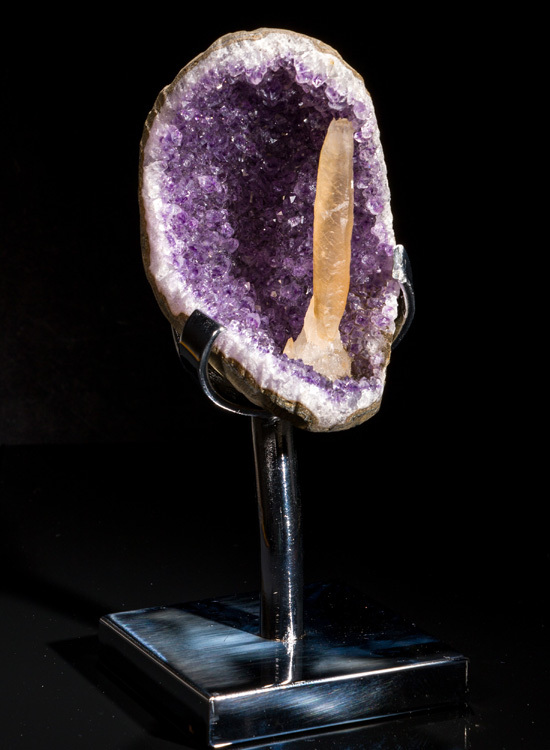 The specimen comes with a removeable chrome display stand, and fully assembled it is 8.5" high. 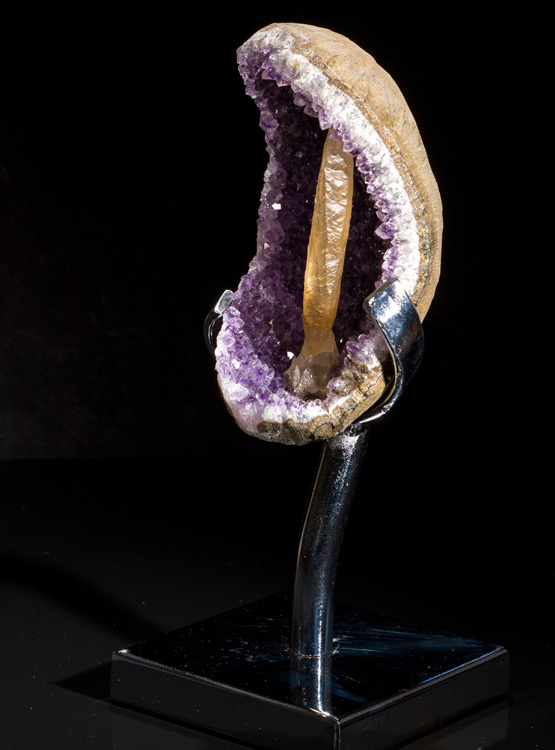 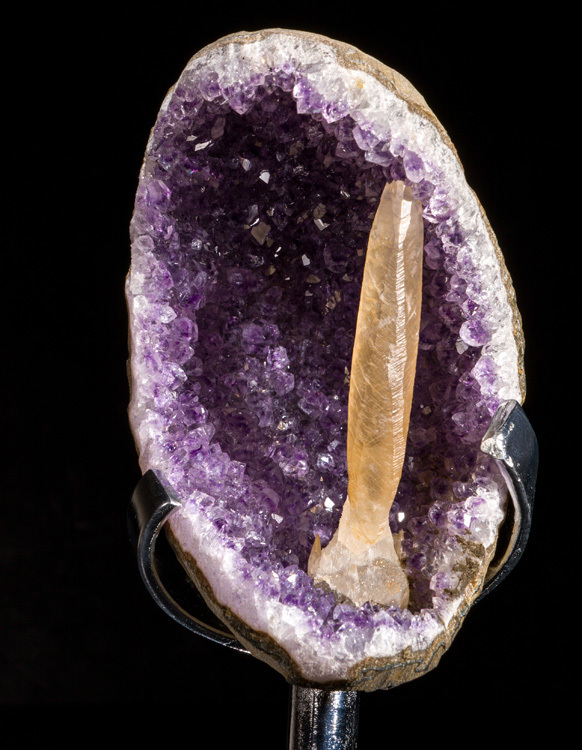 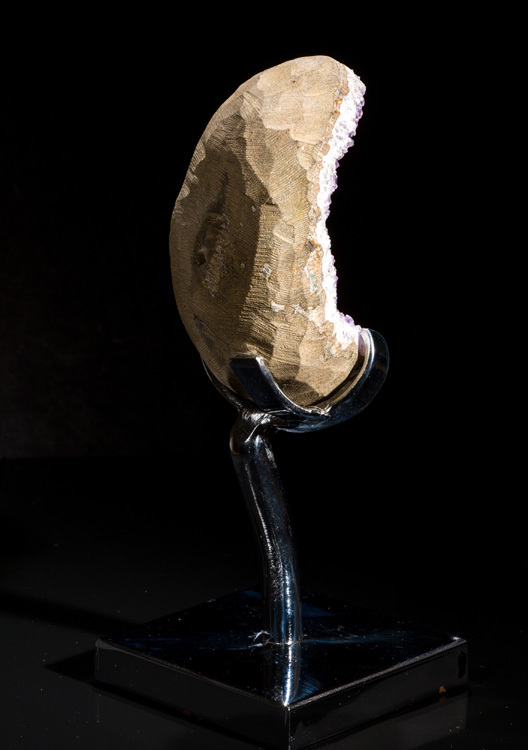 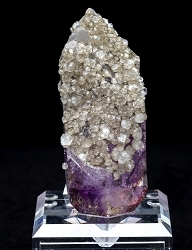 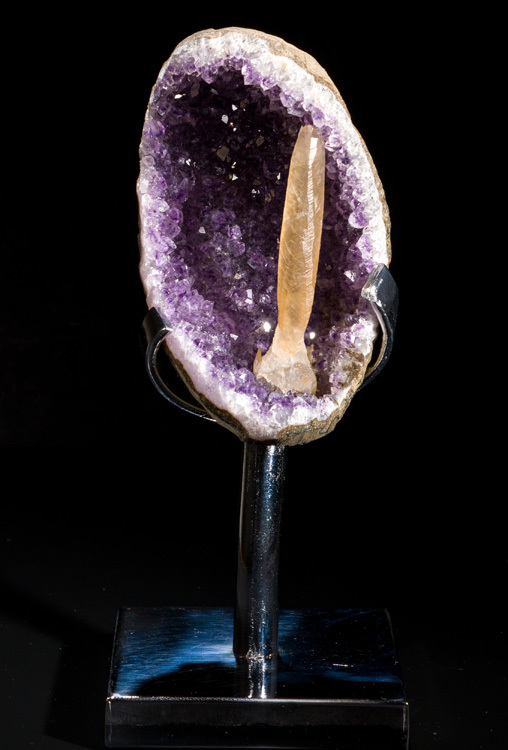 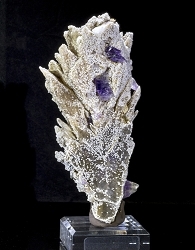 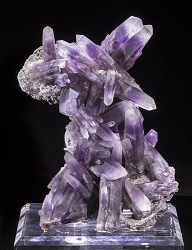 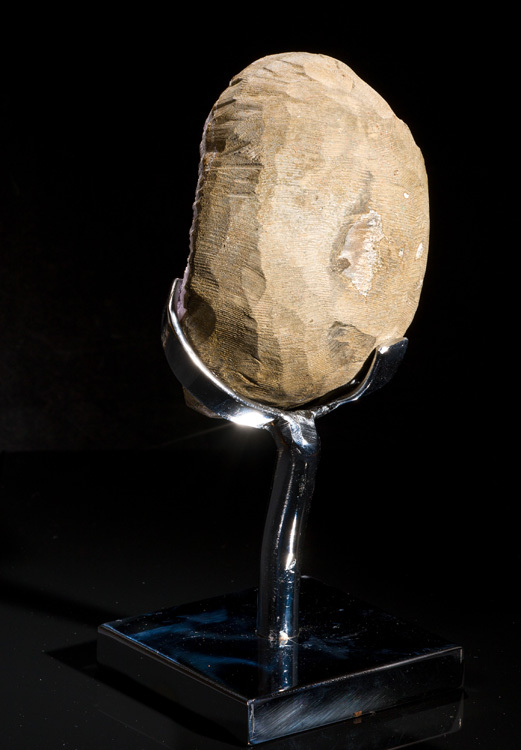 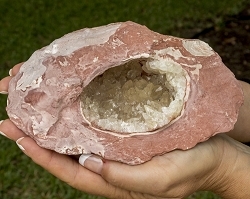 The geode itself is about 4.75" high, and the calcite crystal inside of it is approximately 3" tall.